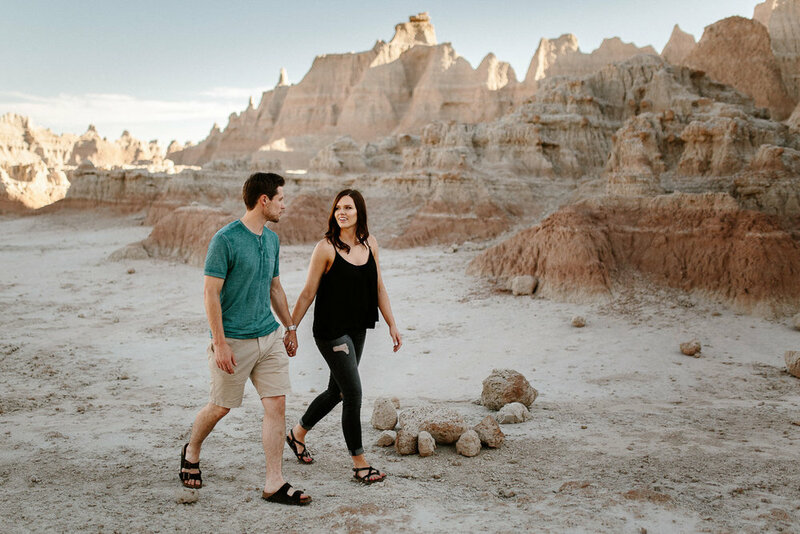 For several years now I had been wanting to shoot a session in The Badlands National Park simply for it's crazy formations and immense beauty! 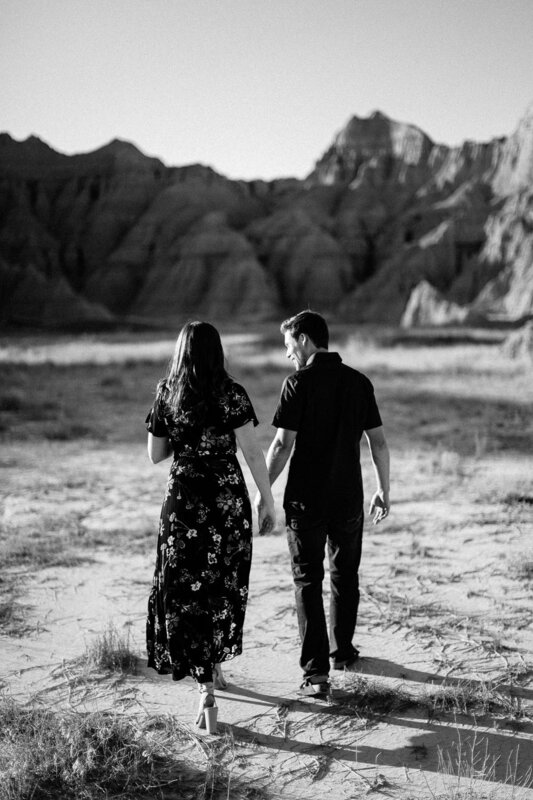 Bringing this idea to fruition was a little easier said then done though because this park is literally in the middle of nowhere and nearly 4 hours from where I live and I knew there weren't many people that would be willing to drive 4 hours for a 1-2 hr shoot and then back home another 4 hours haha. 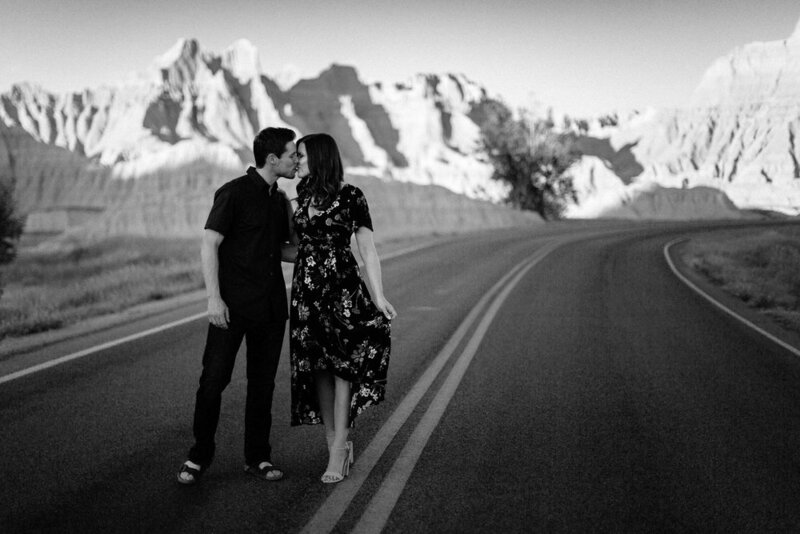 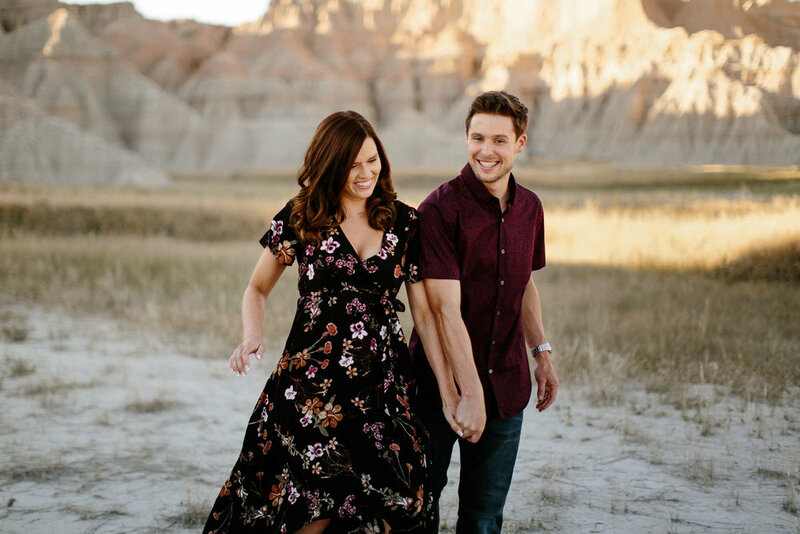 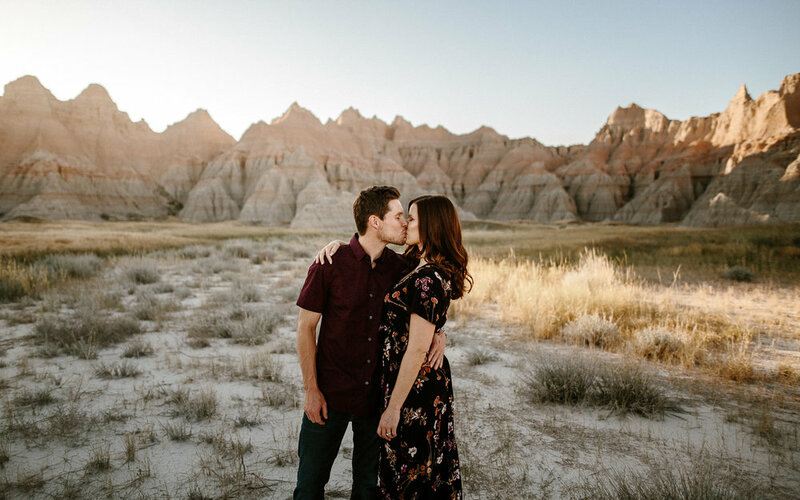 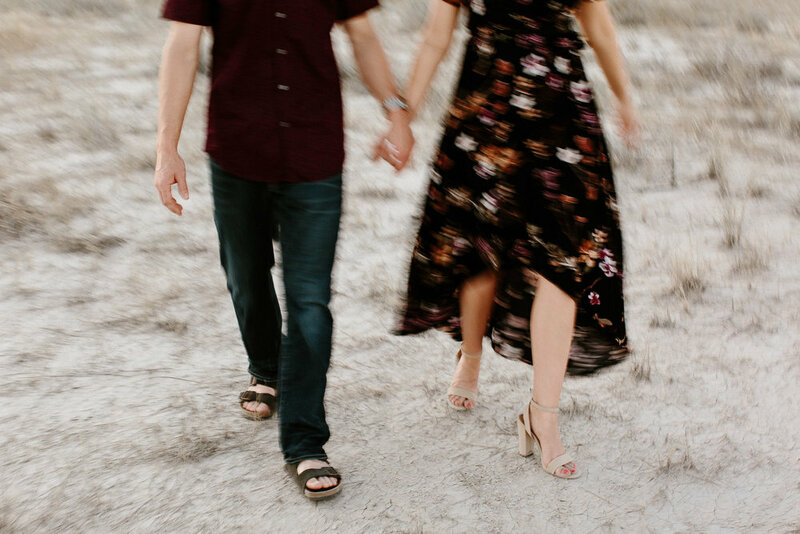 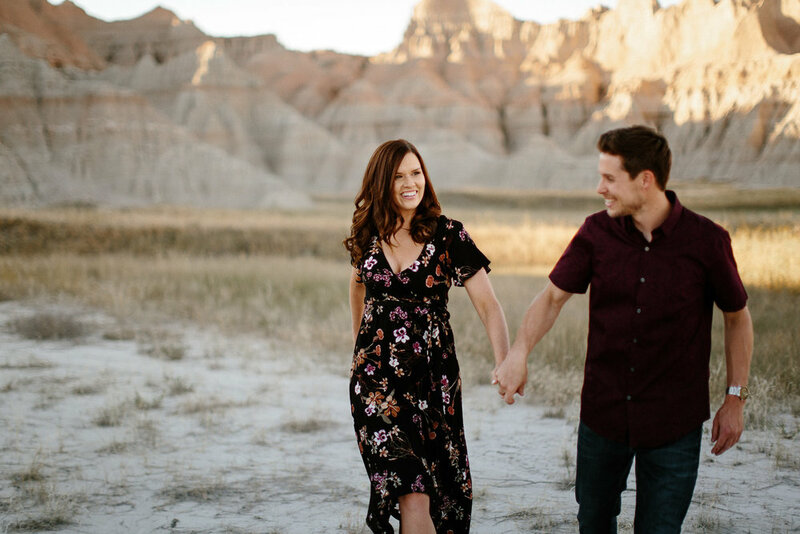 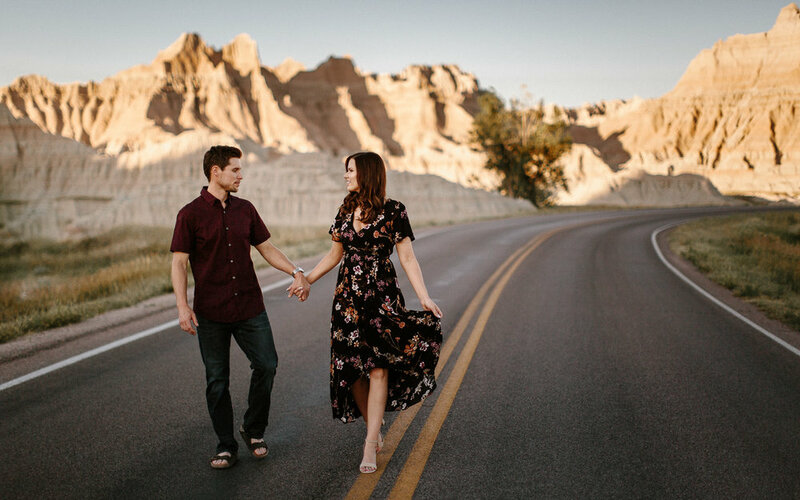 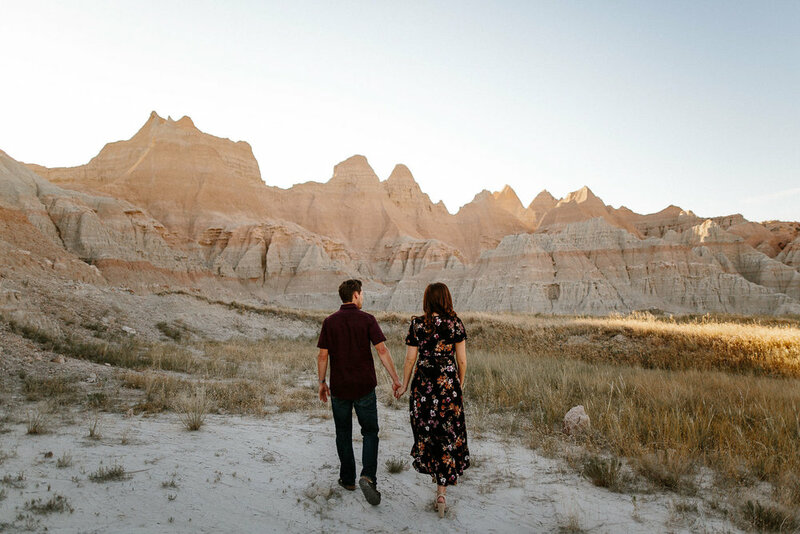 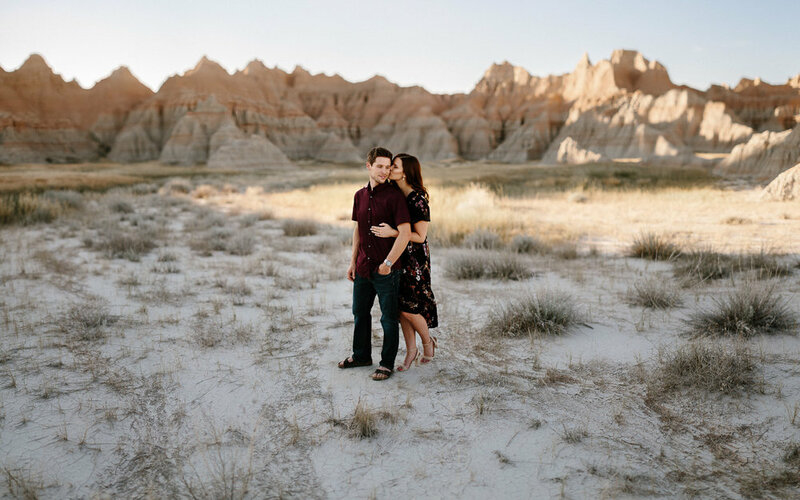 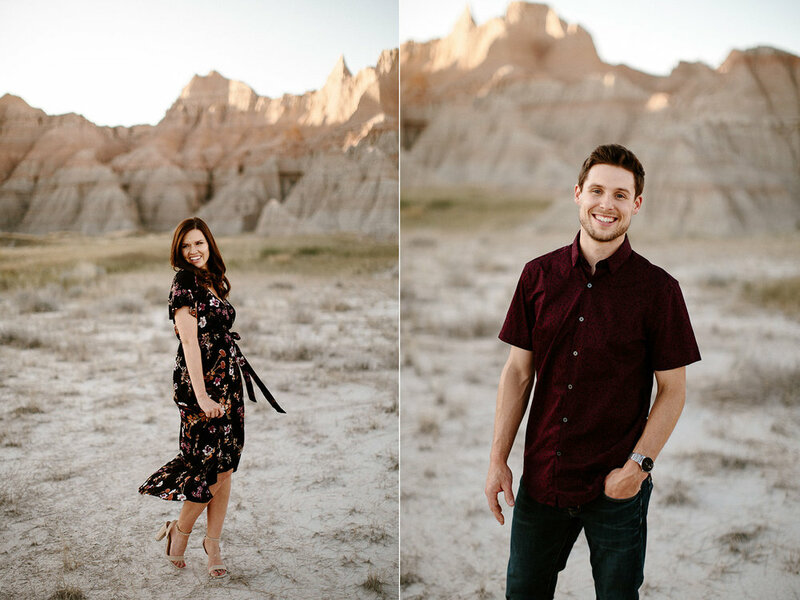 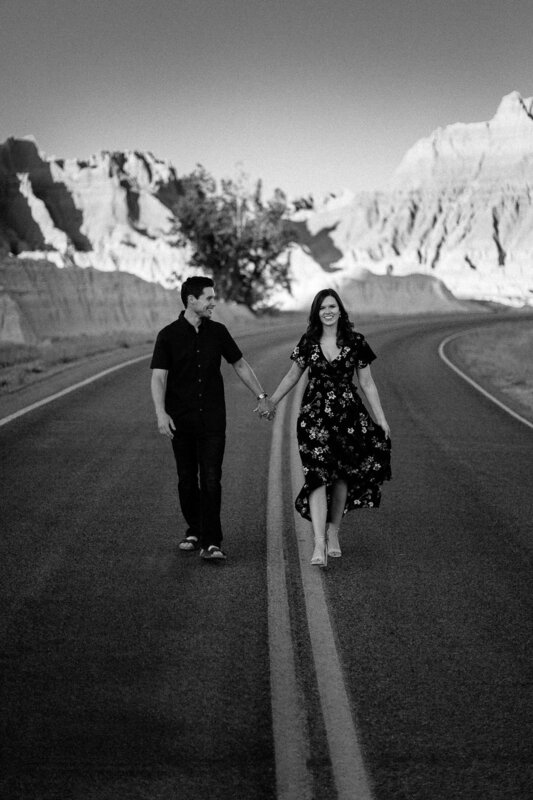 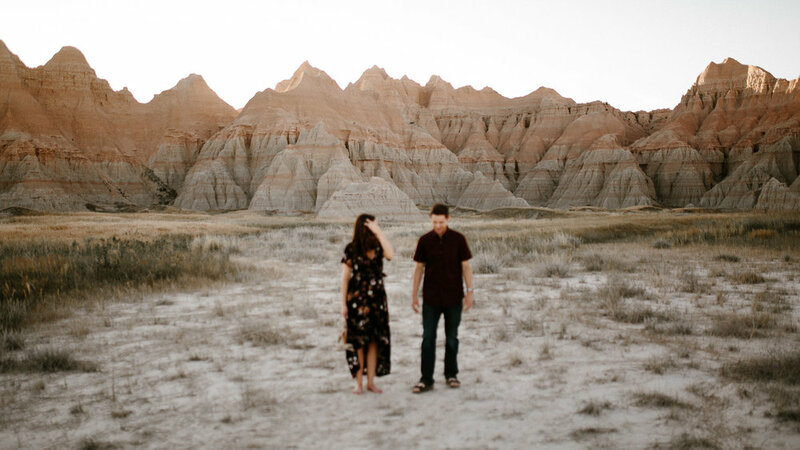 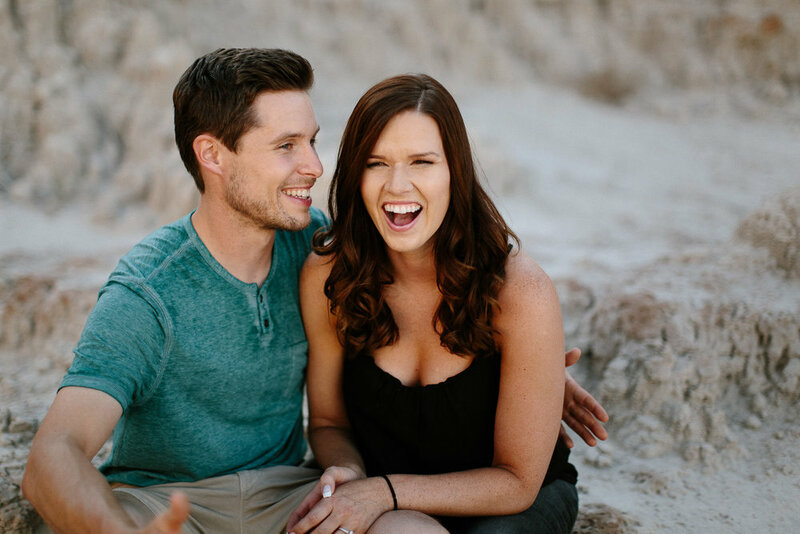 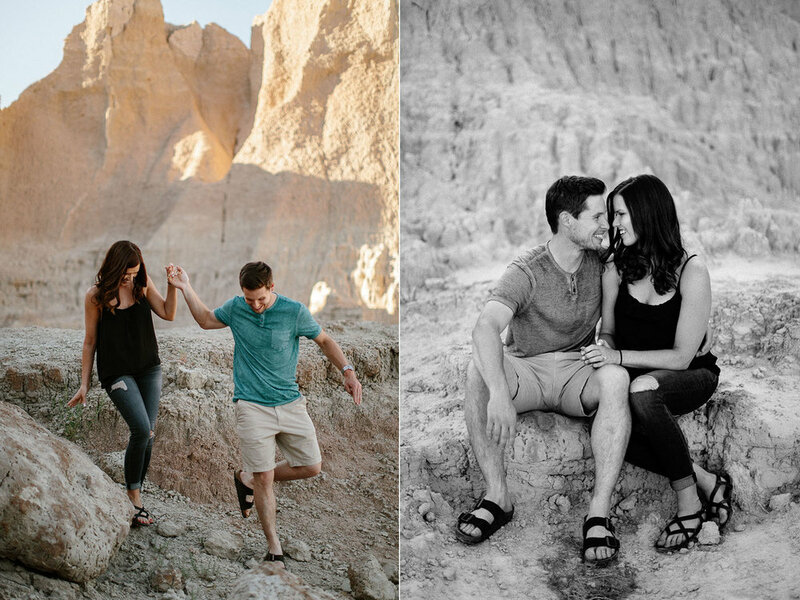 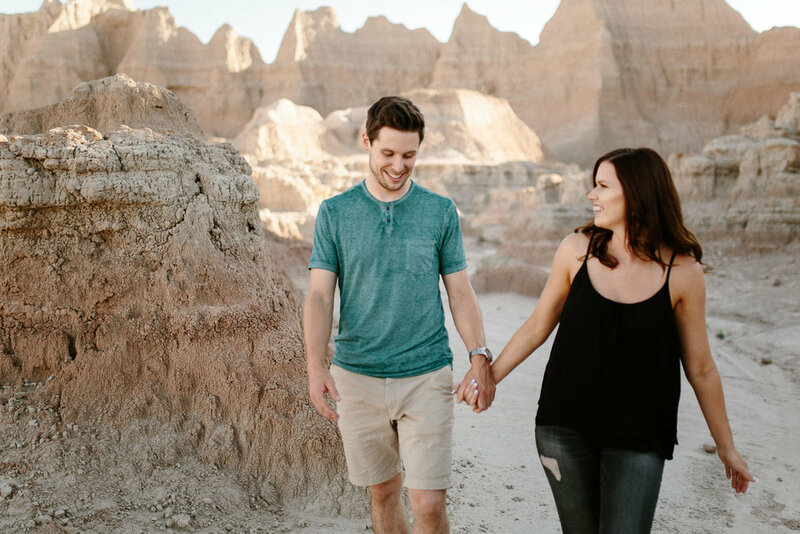 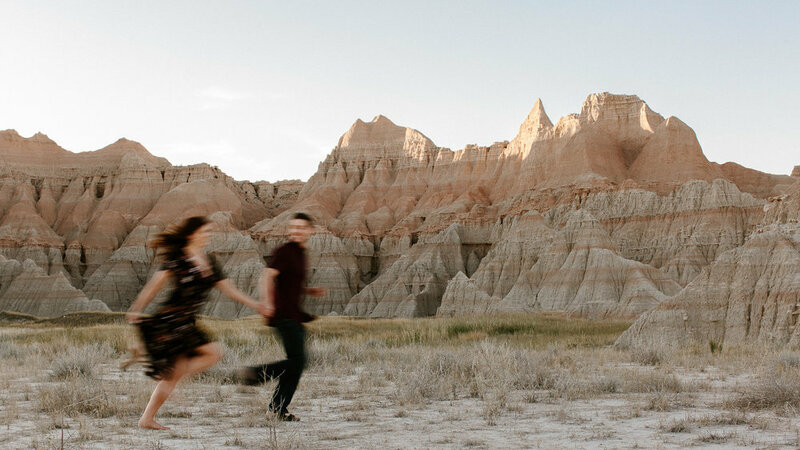 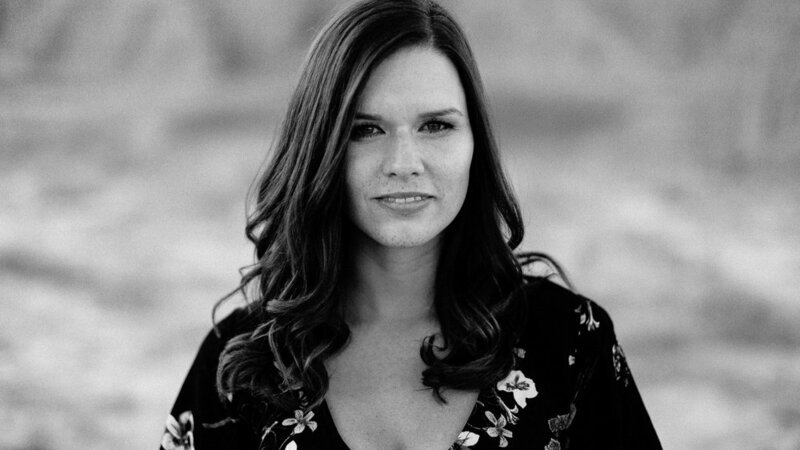 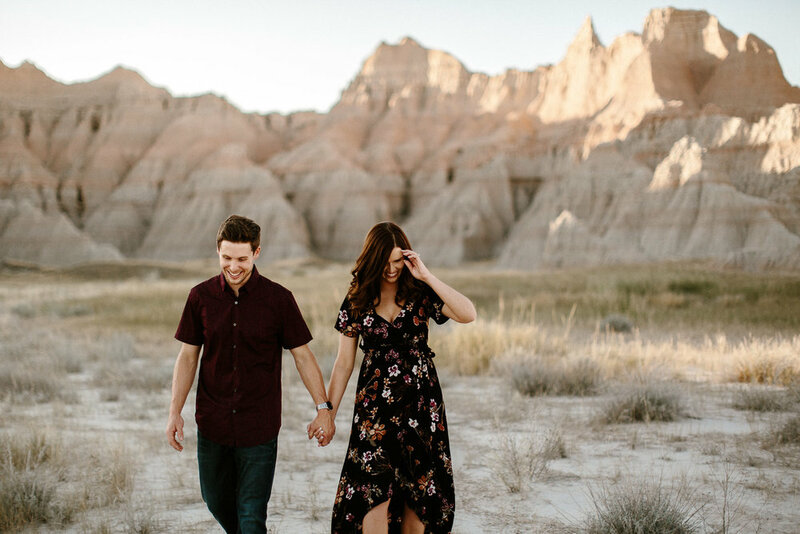 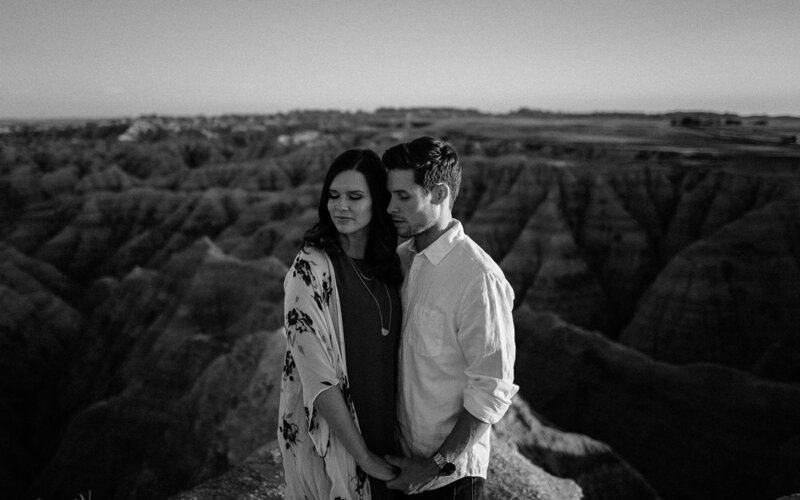 Nonetheless, I approached Alyssa and Forrest with my crazy idea and told them I was going to be coming back from one of my weddings in The Black Hills on this very specific day and asked if they would be interested in doing their session in the park. 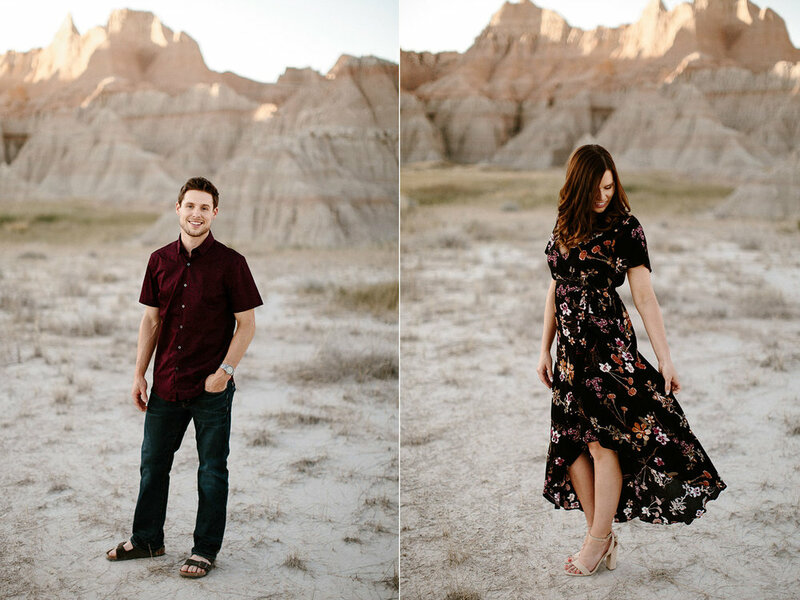 They instantly jumped on the idea and I began brainstorming and giving them tips on clothing ideas!